Forbes List Of 50 Asian Business Dynasties: India Earns 14 Ranks, Families from India hold 14 spots in Forbes Asia\'s inaugural ranking of the top 50 Asian business dynasties with the Ambani family third on the list with a combined fortune of $21.5 billion. Washington: Families from India hold 14 spots in Forbes Asia's inaugural ranking of the top 50 Asian business dynasties with the Ambani family third on the list with a combined fortune of $21.5 billion. India's Premji is seventh on the list with a fortune of $17 billion followed by Hinduja with $15 billion in ninth spot and Mistry ranked tenth with $14.9 billion. Nearly half of the richest families in Asia are of Chinese descent, but none of them is based in mainland China, where conglomerates are young and run by first generations. Thus India with 14 easily has the most spots from any jurisdiction. South Korea's Lee family, who controls the Samsung Group, tops the list with a combined wealth of $26.6 billion. Number two on the list is the Lee family of Henderson Land Development from Hong Kong with a combined wealth of $24.1 billion. 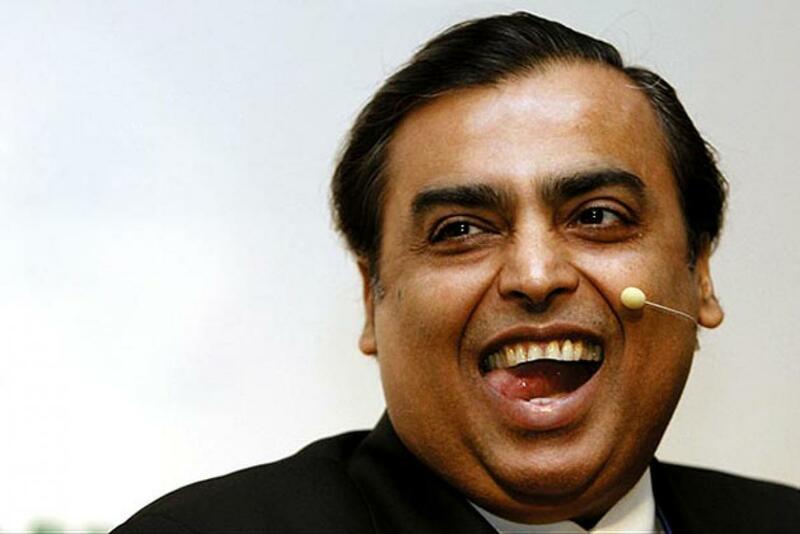 The Ambani family fortune includes the wealth of brothers Mukesh and Anil, both of whom inherited most of their father's fortune on his death in 2002 but opted to do business separately, Forbes said. The Burman family (No. 30, $5.5 billion) from India, who is featured on the cover of the magazine, has brought in professional managers to ensure the continuity of the business and family. Anand Burman, the 63-year-old, fifth-generation scion and non-executive chairman of family-owned Dabur has seen net profits grow 24-fold, and market cap soar 40-fold since 1998, Forbes noted. Dabur boasts a portfolio of 400 products-ranging from skin-care bleaches and ayurvedic shampoos to natural fruit juices-selling through nearly six million outlets across India. The family's 68 percent holding is valued at $5 billion. The minimum combined net wealth to qualify for the list was $2.9 billion. While most on the Forbes list have kept their flock together over generations, the 50 also includes those who've gone separate ways in business or are entirely estranged, Forbes said citing the example of the Ambani family. Forbes also lists some near misses of clans who failed to make the inaugural list. These included the Goenka family from India with a net worth of $2.75 billion. Other Indian families not making the list were Parle Products' Chauhan with $2.7 Billion, DLF's Singh with $2.65 Billion, Marico's Mariwala with $2.55 Billion, Berger Paints India's Singh with $2.5 Billion and Bharat Forge's Kalyani with $2.1 Billion. The Goenka family runs two separate conglomerates. Harsh Goenka, eldest son of founder Rama Prasad Goenka, chairs RPG Group, a $3 billion (revenue) company. His son Anant is the managing director of the group's flagship company, tire maker Ceat. Harsh's brother Sanjiv helms RP-Sanjiv Goenka Group, whose largest asset includes power utility company CESC; his 152-year-old supermarket chain Spencer's is run by son Shashwat.